Mike Wright and Jody Reynolds were asleep at their home in Syracuse, N.Y., when a knock at the door awakened them at about 4:30 a.m. It was two police officers. 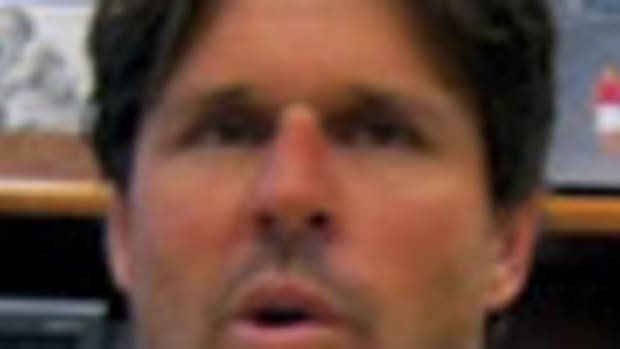 “I wondered, What have I done now?” says Wright, 64. 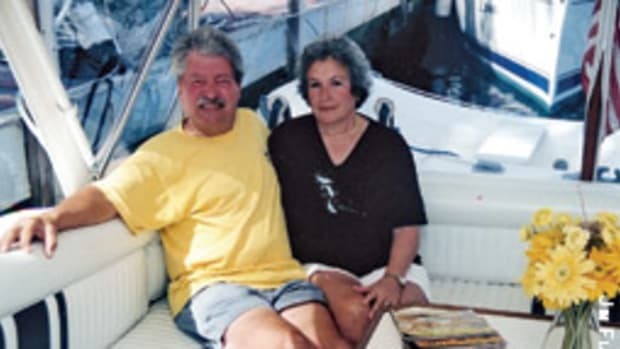 The police wanted to know whether the couple owned a boat docked at McCotters Marina in Washington, N.C. Yes, they were storing a boat there for the winter. It was Hermione, an 86-year-old, 56-foot Elco motoryacht believed to have been the last of 11 of that design built. The wooden Hermione — named for a character in Greek mythology who also is the namesake of the Sicilian queen in Shakespeare’s “The Winter’s Tale” — burned and went to the bottom with 25 other boats in an early morning blaze that swept through a covered dock this winter at the 180-slip marina off the Pamlico River. The officers wanted to make sure the couple hadn’t been sleeping on the Elco, as they sometimes do when they work on her at the marina. But for the cold weather, Wright says, he might have been there that week. 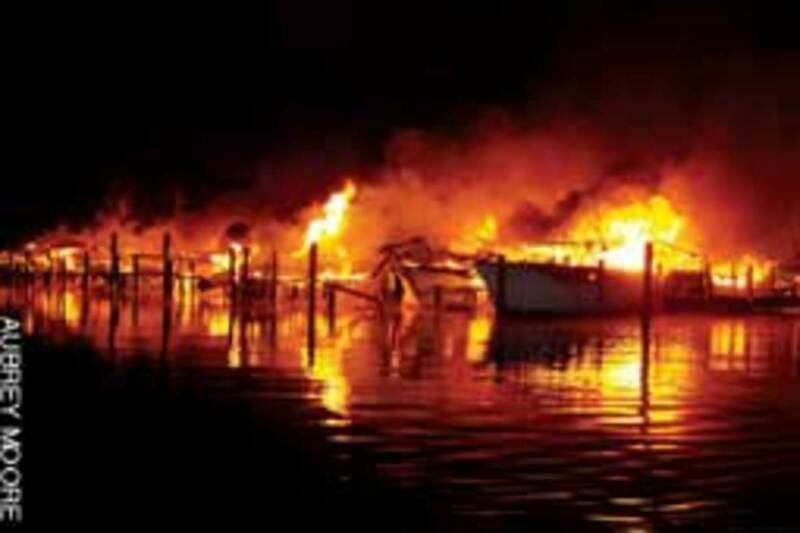 He is a sound sleeper, and the fire engulfed 100 feet of covered dock in less than 10 minutes. 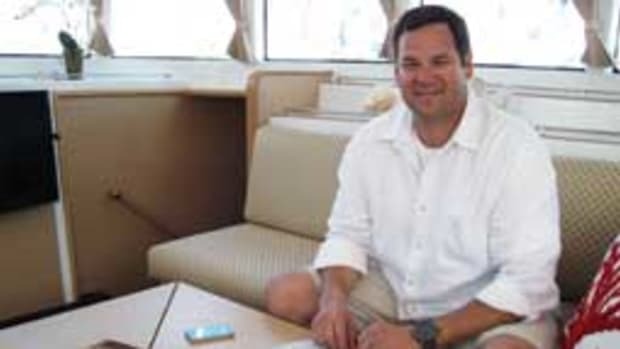 One marina liveaboard had to jump into the 37-degree water to escape. Hermione had no deck hatch aft, where Wright would have slept. “I could have been trapped aboard,” he says. Firefighters worked the blaze for five hours. Though investigators suspect the fire was electrical in origin, marina owner/operator Mark Henley says the exact cause is “undeterminable,” a matter that remains in dispute. Henley says all 26 boats are off the bottom. 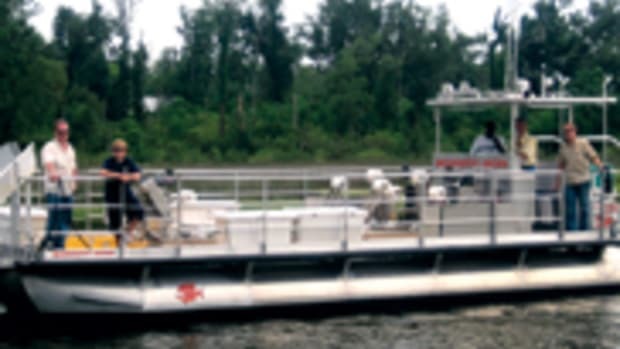 By mid-May, debris had been cleared, and a 32-slip fixed dock with no cover was under construction. Opening was scheduled for midsummer. The rest of the 200-slip marina is doing business as usual. Two liveaboards suffered burns on their hands and a third — the one who escaped into the water — was treated for hypothermia. There was no loss of life — only boats, several of them classics. 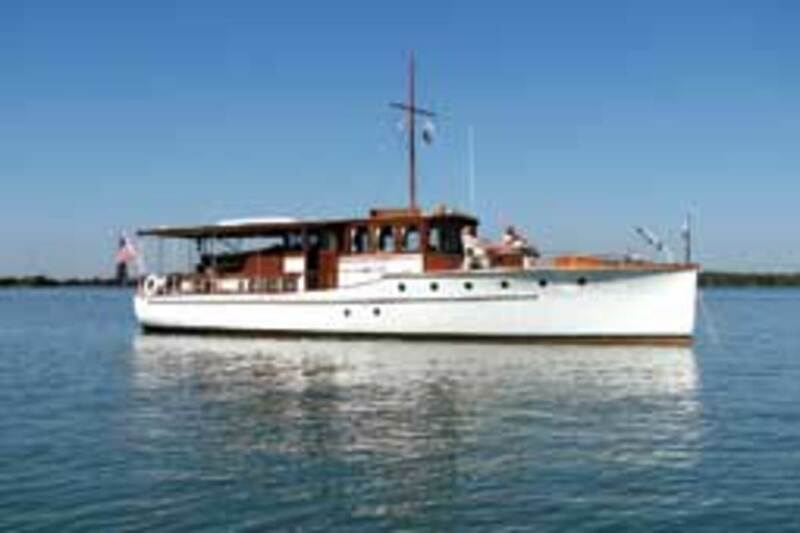 Two were one-of-a-kind wooden yachts, lovingly restored, rich in history. One was Hermione; the other was Mercedes III, a 70-foot 1960 Grebe motoryacht. Hermione, the older of the two, was built in 1925 at Elco’s Bayonne, N.J., yard for two successful vaudevillians — Wright knows of them as “Ruby and Ben” — for $25,000, a princely sum in those days. Subsequent owners included an executive of the glassmaker Corning and electrical engineer Milton Ragsdale, chief of NASA’s mission reliability operations from 1960-1974. 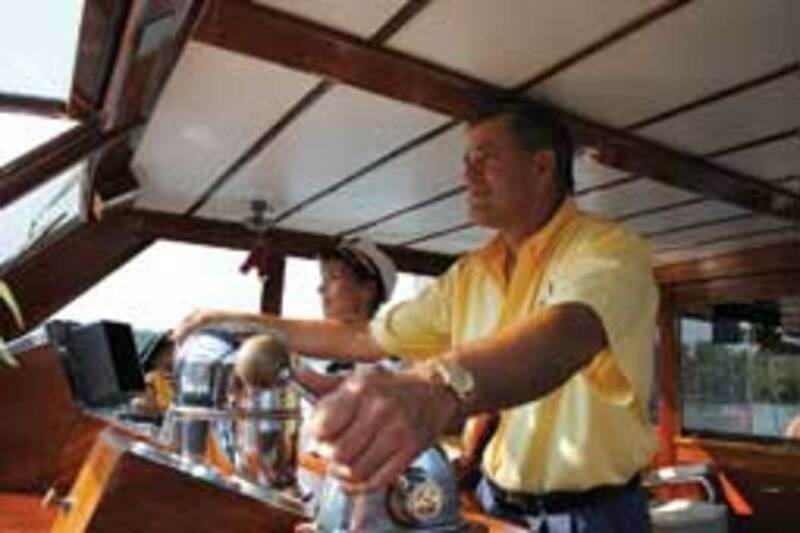 He owned her for 35 years, most of that time cruising Chesapeake Bay out of Colonial Beach, Va. Richard Thomas, an attorney for Ashland Oil, was the last owner before Reynolds and Wright. 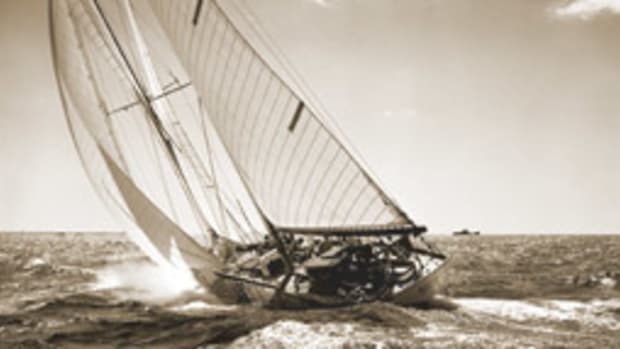 Sloan Wilson, author of “The Man in the Gray Flannel Suit,” wrote a history of Hermione called “The Talking Boat,” referring to what was then cutting-edge telemetry that allowed Ragsdale to keep tabs on her systems when he was at home in Houston and the boat was in Virginia. Wright, a classic-boat surveyor and delivery captain, and Reynolds, a publicist, had put a lot of sweat equity into Hermione to bring her up to snuff. Wright says the boat was elegant to behold. 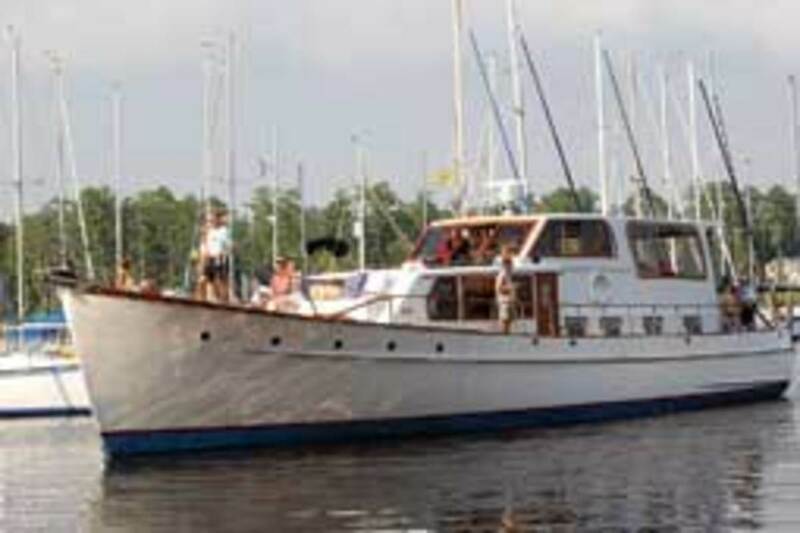 Her hull — riveted 1-1/2-inch cedar planking over oak frames — was quiet at anchor. With her rebuilt twin Chrysler 318s, she was easy to maneuver. “This boat could turn on a dime and give you 9 cents change,” he says. 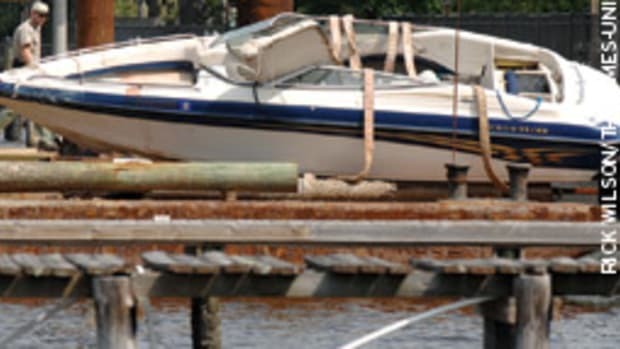 Reynolds says Hermione was insured but “not nearly for total value.” Though they were searching hard for another classic, Reynolds and Wright were still boatless this spring. Dallas and Mary Foreman, Mercedes III’s owners, share that sense of loss. “The sad part about it is the history that has been lost,” says Dallas Foreman, 54, a chemist who works at a phosphate mine near Washington, N.C.
Named for the three Mercedes diesels that originally powered her (she later was refitted with Detroit Diesel engines), Mercedes III was built in 1960 by H.C. Grebe & Co. for the Kresge family, founders of the S.S. Kresge five-and-dime chain, the precursor to Kmart. In search of a long-term restoration project, the Foremans found Mercedes III online. 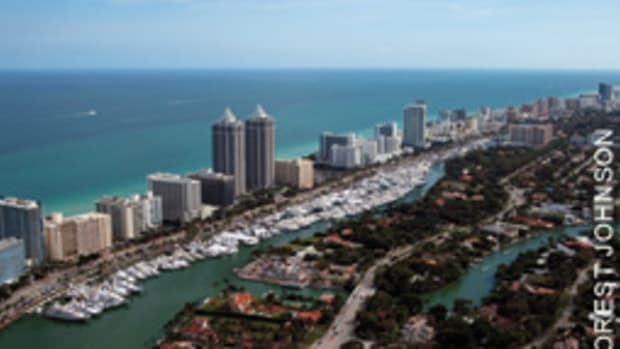 She was on the hard at a yard in West Palm Beach, Fla., with a hole in her hull and few to no prospects for a sale, says Mary Foreman, 47, a nurse at East Carolina University in Greenville. The boat needed a couple of excited, visionary and energetic angels to fix her up. “The owner said if we would take her, he’d give it to us for a dollar,” she says. 6-1/2 years, that pretty much has been our passion,” says Dallas Foreman. No travel. No vacations to speak of. 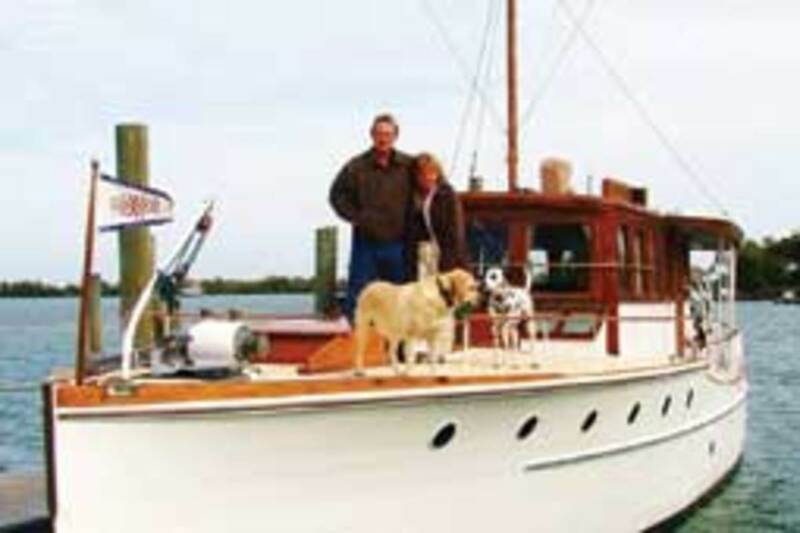 They finished the restoration last July and took their first charter — a wedding party — to Ocracoke on the Outer Banks in August. The Foremans salvaged from the charred remains a set of table service and two decorative mermaids — one a brass hook, the other a cast-iron bottle opener. “I brought some of the ashes home to put in my flower pots,” Mary Foreman says. The couple carried liability insurance on Mercedes III but no hull coverage. 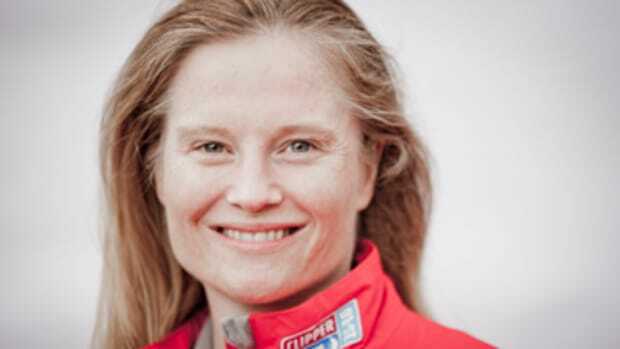 “We were going to get full coverage this spring, as she was scheduled for a pullout and inspection then,” she says. The Foremans had planned to cruise and charter Mercedes on the ICW full time in their retirement, which is at least 10 years off, and maybe do a Great Loop cruise. “We love the waterfront towns and villages,” Mary Foreman says. He has owned three other classics: a 1949 Trojan, a 1959 Cadillac and a 1972 Broadwater. He’s eyeing an Elco now. No more projects — for now.